The death of an author can be a traumatic event to his (or her) readers, especially if the author was prolific. John Updike is a good example of this. But J. D. Salinger was not John Updike. As far as his readers were concerned he’s been, practically speaking, dead to them (or more aptly, they were dead to him) since Hapworth 16, 1924 appeared in the June 19, 1965 issue of The New Yorker. For close to half a century Salinger protected his privacy and work zealously. No awards, no interviews, no biographies, films or sequels were permitted. The only access his readers were given was to the one novel and the three amazing short story collections – and in many ways that was enough. For the obsessive there was always his uncollected works to seek out in magazine back issues and archives. But there’s been nothing new, of any literary value, for 45 years. With his death last week that all may be about to change. A lot was said about Catcher in the Rye these last few days. My personal infatuation with Salinger began with his short stories – all of which, in one way or another, deal with the Glass family. The seven children of two retired Vaudeville performers (5 brothers and 2 sisters) are all above average in intelligence, physically attractive and unusually gifted. Seymour, the eldest, committed suicide at age 30 because (if we are to believe his brother Buddy’s version of events) he was too good for this world. Buddy is Salinger’s alter ego, and the keeper of the family chronicle. The remaining children: Boo Boo (the “Tuckahoe homemaker”), Walt (the most cheerful), Waker (a priest, mentioned but never seen) , Zooey (“the blue-eyed Jewish-Irish Mohican scout who died in your arms at the roulette table at Monte Carlo”) & Franny (the youngest) were all schooled in Eastern mysticism, philosophy and religion at the knees of their two elder brothers. If Holden Caulfield was someone I could relate to in my teenage years, reading about the Glass family guided me through my 20’s and helped me discover who I wanted to become. I can’t really explain why, other than that they were smart and good and all spoke like actors in pre-code Hollywood films. Not everyone felt the same way. Salinger’s New York Times obituary has a wonderful quote from Updike (taken from his 1961 review of Franny & Zooey). Salinger loves the Glasses more than God loves them. He loves them too exclusively. Their invention has become a hermitage for him. He loves them to the detriment of artistic moderation. Updike considers this a flaw. And therein lay the crux of Salinger’s problem with the critics. I was able to read Hapworth 16, 1924 by painstakingly photocopying it from microfilm at the NY Public Library. Stupidly, a year later I lent my copy to someone I admired and it was never returned. (There’s a karmic lesson in that I’m sure). But what I remember is a letter home from camp by a very young Seymour Glass written in a very adult voice. In it he predicts his own death. And while it rambled on a bit, and didn’t sound very much like a 7-year old boy writing to his father, it explained a good deal. It also hinted at some tantalizing possibilities as to what Salinger had planned for the Glass-es. The Glass family seems to have evolved into more of a spiritual quest for Salinger than anything else – now complete with a Christ figure and assorted martyrs, prophets, apostles and priests (a whole ecclesiastical cast, in fact). He became too close to his material, emotionally exposing himself every time he published and making many of his readers uncomfortable because of it. Focusing on spirituality is dangerous ground for any author to walk, doubly so for one who built his literary reputation with stories set on the Upper East Side of New York City and reviewed in the New York Times and the NYRB. And yet, with the Glass family, Salinger was shamelessly pushing religion and morality door-to-door like a Jehovah’s Witness. It must have seemed so unsophisticated, so gauche, so anti-everything the Algonquin Round Table had stood for. Salinger had broken some mid-century literary establishment taboo, and as a result the critics sprang on him like hyenas on a wounded wildebeest. Janet Malcolm’s NYRB article from June, 2001 – Justice to J. D. Salinger – discusses this critical backlash. I won’t bore anyone with my own attempt. But I wanted to mention the infamous 1996 incident where Salinger gave a small publishing house permission to put out a limited edition of Hapworth 16, 1924. Typically, the news Salinger was going to have a “new” release caused a minor media frenzy. (The Washington Post recently featured an interesting article where the publisher explains what happened). Critics scurried over to the New Yorker’s archives to write their reviews of the story prior to the book’s release – and what they wrote was not pretty. Some of it was downright petty. The reviews are online, if you want to look them up. Suffice it to say that when it was over I wasn’t the least surprised that Salinger backed out of the deal and withdrew once again to New Hampshire. This intensely personal connection and protectiveness towards his work and characters leads me to believe the reports that Salinger continued writing without publishing, despite the lack of proof. Whether or not what he has written is any good – well, that’s the million dollar question, isn’t it? I’m fairly confident we’ll find out, regardless of whatever instructions were left. And I’m grateful for it. I don’t see it as a betrayal of the author’s wishes, or a situation like the recent Nabokov circus over The Original of Laura. I’m not expecting half-finished manuscripts being passed off as novels. What Salinger left was not work he held back from publishing because he didn’t think it was good enough. In his mind we were the parties lacking. So I expect there will be good writing. There may also be some awful writing… and honestly, what if there is? 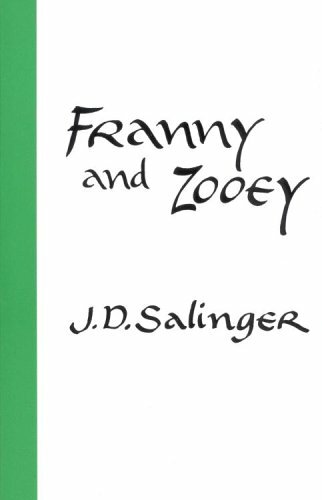 At the end of Franny and Zooey, Zooey tells his sister that because she came home “if you look at it a certain way, by rights you’re only entitled to the low-grade spiritual counsel we’re able to give you around here, and no more”. He makes a good point. Awful writing comes with the territory and, as always with Salinger, it’s ultimately subjective. I, for one, have waited a long time to find out where he was headed after Hapworth. At this point I’ll be happy with whatever I can get.